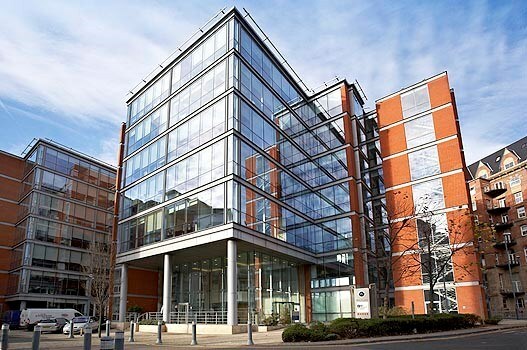 Whitehall II is a 6 storey steel frame structure primarily consisting of multi-use office accommodation in the heart of Leeds city center. Tandem were appointed Principal Contractor to carry high level structural cleaning as well as internal and external re-decoration. Redecoration of the existing communal areas internally and metal handrails externally, as well as a full clean of exposed structural steel and powder coated aluminium windows/glazing on all external elevations. Carrying out refurbishment works in a building while it remains in use has its problems. Communication is key to ensuring work runs smoothly and there is as little disruption as possible for both clients and building users. This was achieved at Whitehall through regular communication between Tandems’ project manager, our client and the building manager. High-level cleaning is a specialist activity in itself; this risk is exacerbated on a City center site adjacent to several busy roads such as this. A great deal of work must go into the planning of Health and Safety at pre-construction stage to minimise potential problems arising on site. As a standard we expect operatives working at high-level from powered access equipment are holders of a Powered Access Licence (PAL) card issued by the International Powered Access Federation (IPAF). In order to reach certain parts of the building it was necessary for powered access equipment to encroach over a basement car park below. This meant that the equipment used had to be suitably weighted to avoid causing any subsidence or even collapse. Exclusion zones were put in place at street level to prevent pedestrians walking below the working area, a banksman was used as a further buffer to guarantee the safety of operatives working above and pedestrians/road users below. This project was successfully handed over to our client in March 2017.